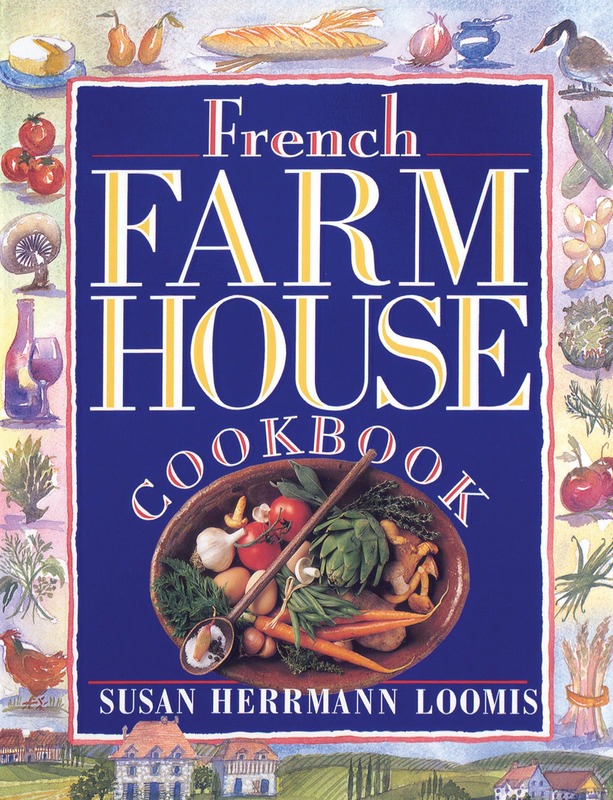 We have checked our log of cookbook entries and simply cannot believe that we have never featured Susan Loomis' French Farmhouse Cookbook. What were we thinking? Clearly, we were not thinking. Over at Lucindaville we featured our favorite holiday planned-over, an after Christmas eggs Benedict that is made with leftover dressing, giblet gravy and a poached egg or if one is so inclined, our favorite confit de gésiers. J.W. wanted to know our recipe for gizzard confit and the one we love to use is from the French Farmhouse Cookbook. This cookbook is often described as the French cookbook to buy if you are in the market a truly authentic French cookbook. One that presents recipes that a French family would actually eat every day. That seems to be the best description one could provide. This is a rather old-fashioned cookbook in the sense that is offers no photos of the food. While there are lovely line drawings, the food is left up to one's own imagination. 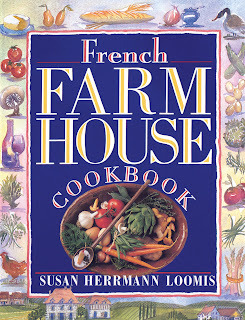 Still, this is the go-to French cookbook on my shelves that house thousands of French cookbooks. 1. Place the gizzards in a large bowl. Add the salt, half the thyme, and one of the bay leaves, and mix until well combined and the salt is evenly distributed. Cover and refrigerate for 2 hours. 2. Rinse the gizzards well by placing them in a bowl and filling the bowl with water. Drain the gizzards, then repeat the procedure at least 4 times, to make sure you remove all the surface salt. Pat gizzards dry. 3. Place the pork fat or lard in a large heavy saucepan over medium-high heat. When it is two-thirds melted, add the gizzards, onions, remaining herbs, and allspice berries, stirring and pushing them down into the fat. Lower the heat s the fat is simmering slowly. Cook, uncovered, until the gizzards are tender, about 2 1/2 hours, stirring them occasionally and pushing any beneath the surface of fat so they cook evenly, adjusting the heat if necessary. 4. When the gizzards are cooked, remove the pan from the heat and let them cool in the fat until nearly congealed. Transfer the gizzards and the fat to a bowl or an earthenware or glass container and let them cool completely. Either eat them immediately, or store in the refrigerator for up to two weeks, covered with fat and aluminum foil. 5. Remove the gizzards from the fat and warm them gently in a saucepan over low heat. Use a slotted spoon to remove them from the pan. We are lucky enough to have several old cheese crocks that have hinged lids to lock in the gizzard goodness. Also, we never use just plain aluminum foil on food products. We used to use parchment lined foil that was designed for sandwich shops. Now the good folks at Reynolds have introduced this parchment lined foil to the supermarket shelf. Buy it -- it is wonderful. If you are out there looking for a really good French cookbook that an actual French person in your exact shoes would cook from, the French Farmhouse Cookbook is a safe bet.